← Bulgarian Holiday: The Expendables 3, reviewed. The Spirit of 77: To Be Takei, reviewed. I am acquainted through DC theatre with Marc Okrand, the man who developed the Klingon language to for Paramount Pictures. I was surprised to seem him make a very brief appearance in Jennifer M. Kroot’s documentary To Be Takei, which I reviewed for The Dissolve. 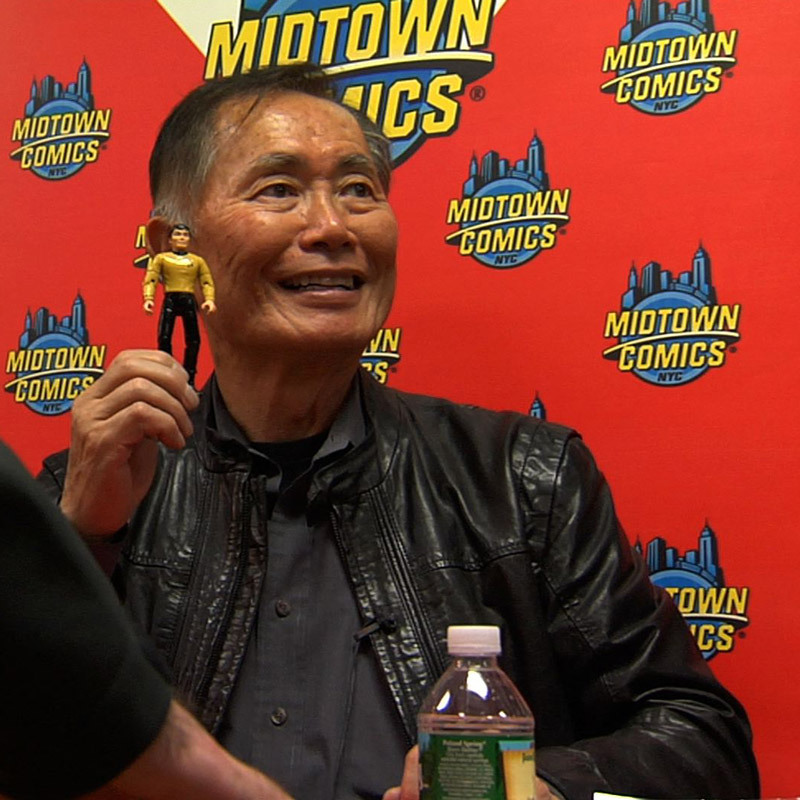 Hikaru Sulu and George Takei at Midtown Comics in Manhattan. This entry was posted in movies and tagged documentaries, film reviews, George Takei, Star Trek, The Dissolve. Bookmark the permalink.